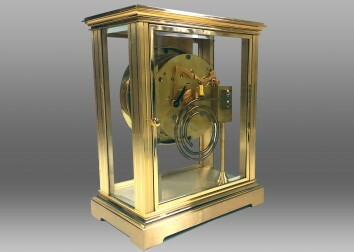 This Limited-Edition Boston 100 Carriage Clock was originally sold to Southwest Instrument Company on November 25, 1980. 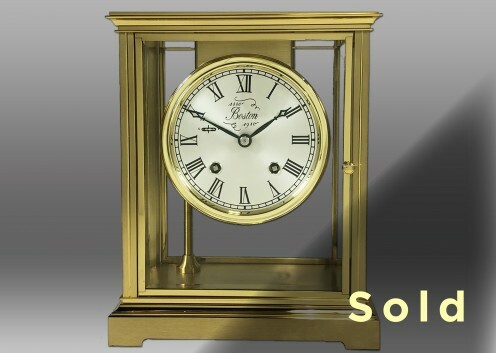 This beautiful clock was only one of 500 created and was built to celebrate the centennial of the Boston Clock Co. (Chelsea Clock Co.’s former namesake). 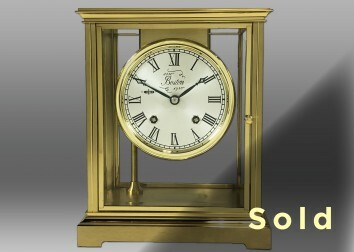 It is encased in brass and glass and the hand-silvered dial features black Roman numerals. Front and rear doors open. The dial is marked with “Boston 1880-1980.” The house striking movement has been completely overhauled. Serial # L/E B239.